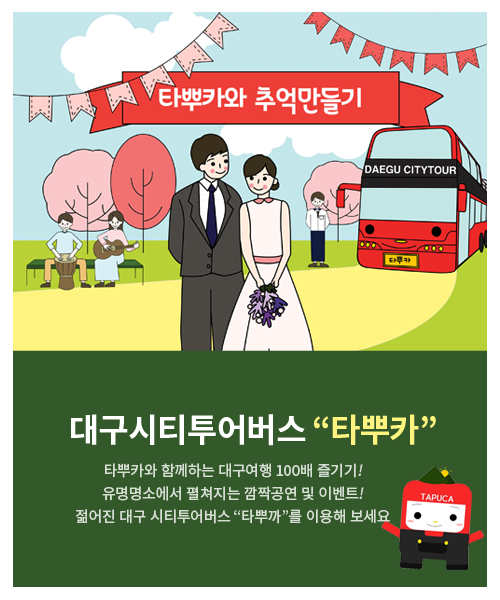 대구광역시 관광협회 [대구시티투어 도심순환버스] 알림마당게시판입니다. 대구광역시 관광협회 [대구시티투어 도심순환버스]에서 제공하는 공지사항과안내정보를 확인하실수 있습니다. We use not “tourbus-only lane” but “public roads”, so it’s natural to be affected by public transportation delay.